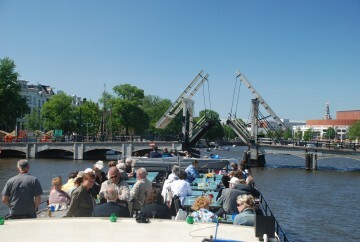 Navigo Amsterdam sails with two boats around Amsterdam. 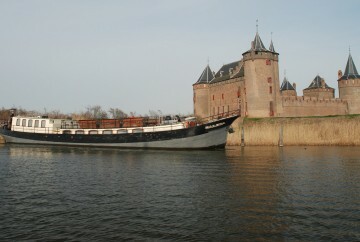 Partyship Sailboa is a vintage industrial boat, that can host up to 150 people. This boat both has a big inside and a big outside area, making it the perfect location to celebrate. The elegant saloon boat Elvira is more intimate, and offers the best panoramic view one can imagine. 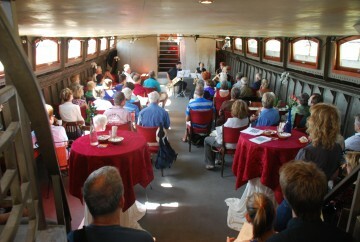 The boat hosts up to 75 people, and is great for events with dinner and drinks, and sightseeing. Every event is customized to your preferences. To get an idea of what is possible, we have collected a few occasions as examples. Do you have something different in mind? Just send us a message to see what is possible. 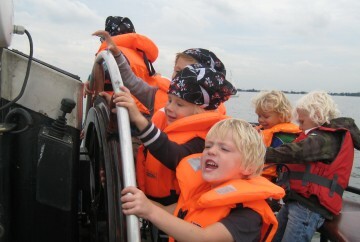 There is a discounteded boat tour when sailing with us between April and October. 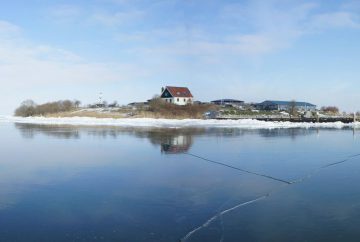 The tour starts and ends at Amsterdam IJburg, and includes a visit to either Amsterdam Castle Muiderslot, or Fortress Island Pampus. Contact us for full details.